Winter is almost here and now is the perfect time to starting creating decor projects. 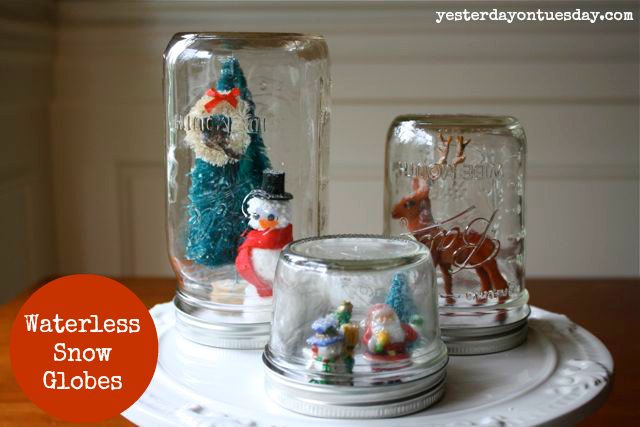 I think snow globes are some of the most charming (and easiest) crafts you can make. 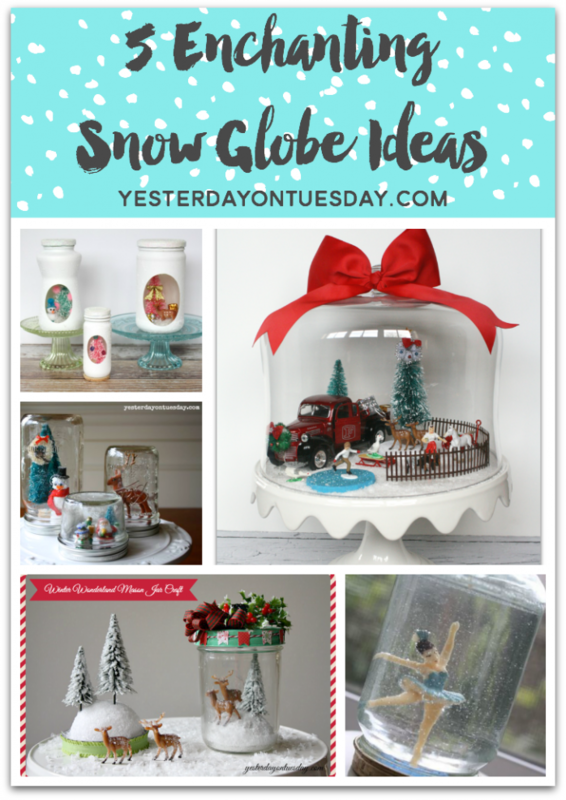 There are so may different takes on snow globes– here are five of my faves. 1. 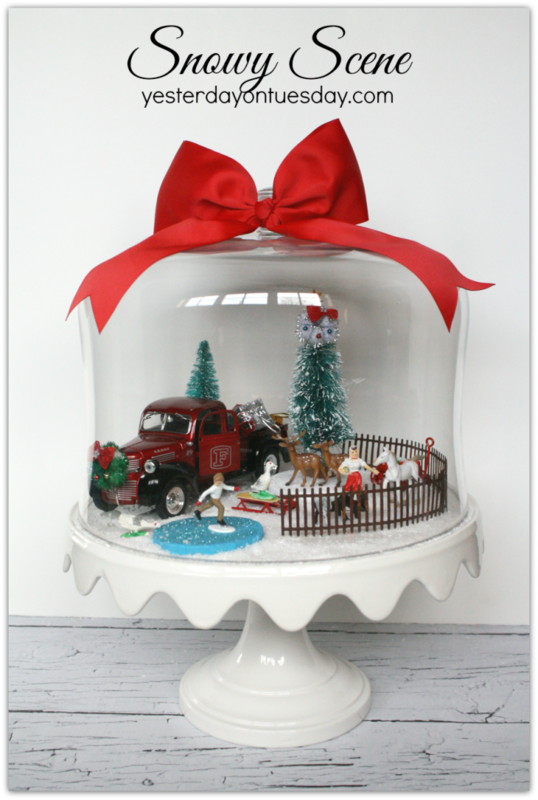 Snow Globes don’t have to be small. Bigger can be more fun too! Use a cake stand, like in this Snowy Scene Under Glass for maximum impact. 2. 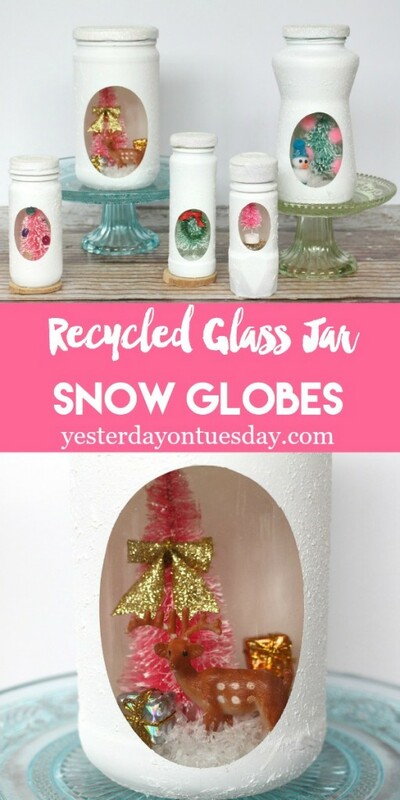 You don’t have to have water to make a lovely snow globe– check out these Waterless Snow Globes. 3. BUT water is super fun too! 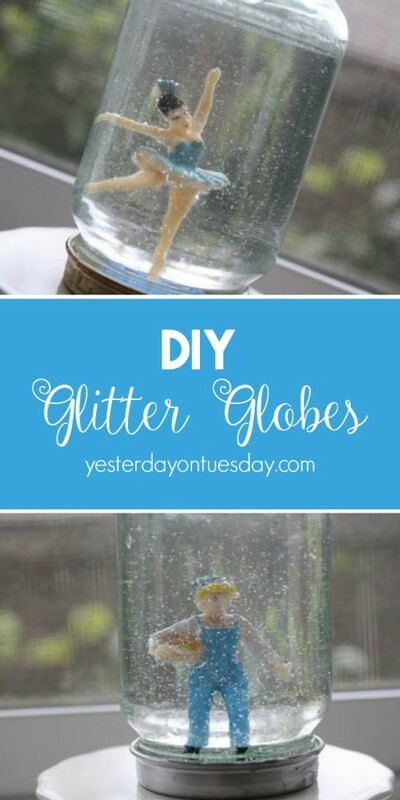 Use any little figurines and baby food jars to make these DIY Glitter Globes. 4. 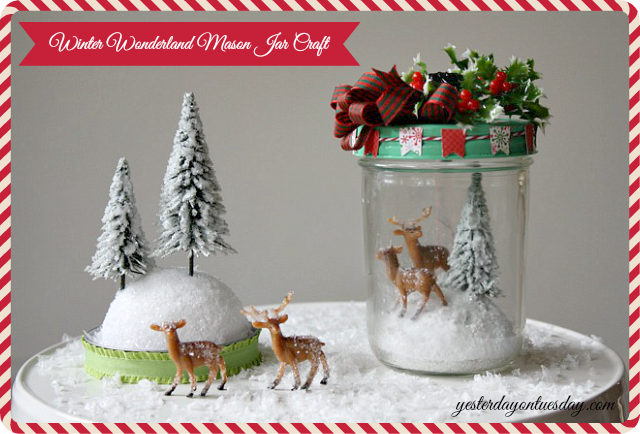 Save those used salsa jars, you can used them for Recycled Glass Jar Snow Globes. 5. Think out of the jar! Thus Winter Wonderland scene uses the lid as well.